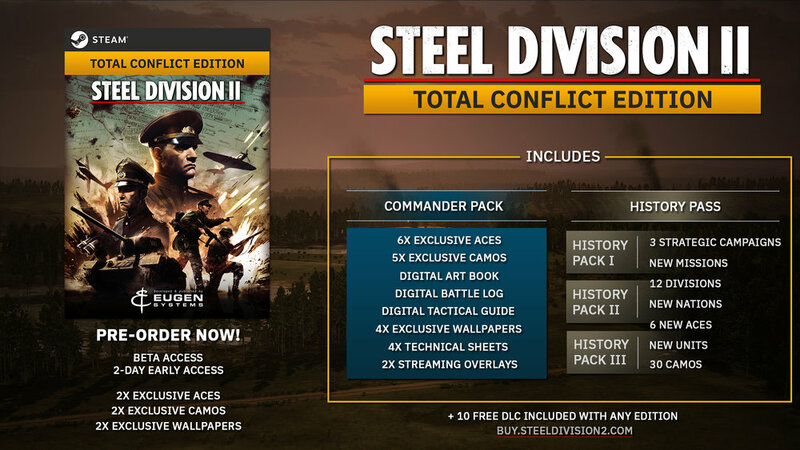 Eugen System’s sequel, Steel Division II has a release ate set in stone. It’s coming out for the PC on April 4th, 2019. Steel Division II is a much more bigger and ambitious title then the first game this time taking place on the Eastern Front of World War II. Pre-orders are now up and you can purchase it now to get 48-hours early access to the beta version of the game. There’s a Total Conflict edition that comes with a bunch of goodies which you can view below.